Here are two photographs showing the community gardens in Dodge City, Kansas. 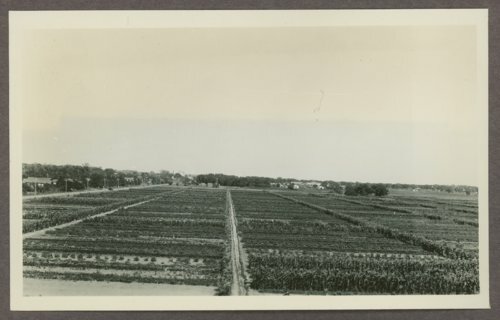 According to the Dodge City Daily Globe, these plots yielded an average of $50.00 worth of vegetables. The photographs were removed from the Relief Garden Program of 1935 portion of the Kansas Emergency Relief Committee collection.